It’s coming.....put the date in the diary.....time to prepare.....choose your teams wisely!! 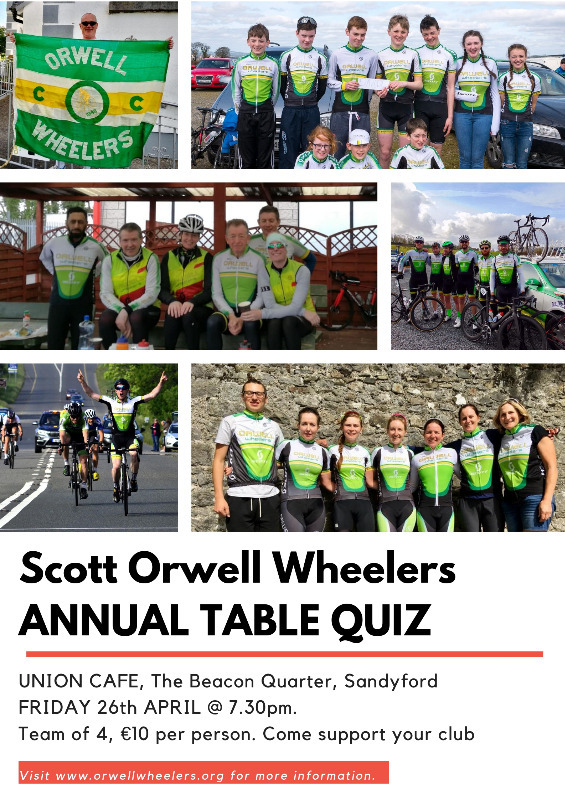 The 2019 Scott Orwell Wheelers Table Quiz will take place on Friday the 26th of April in The Union Cafe, the Beacon South Quarter, Sandyford. Teams of 4, €10 per person. Come with a team or come solo - teams can be put together on the night. Questions on cycling, general knowledge and anything else our Quiz Master can conjure up. Overall prizes, spot prizes and a raffle too! It’s always good fun, a great way to meet your club mates and raise money for special events this year. 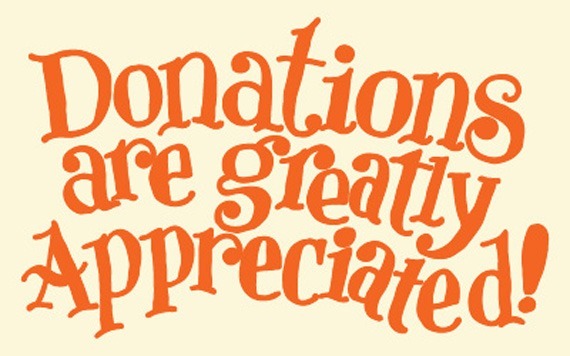 Monies raised will go towards events such as helping. The Ras na mBan Team, the Audax Crew’s assault on PBP, helping our Youth & Junior riders and many more. We are also hoping to support our local chosen charity - the Dundrum Arch club. Last edit: 2 weeks 2 days ago by Louise Keane. Don’t forget the Table Quiz is taking place Friday the 26th of April? Have you got your team organised?? Have you got your team name picked?? Post on this thread to register your team in advance. This will help us get the spreadsheets ready! We will be taking entries on the night too. For the Quiz night - we are looking for donations of prizes please! There will be a raffle on the night, so even if you don't think you'll do well at the quiz, you can still walk away a winner! Please register your prize donations here on this thread if possible, or prizes are also welcome on the night. I'll donate a few bits of cycling clothing: 2 velorevolution waterproof hydras in S and XL and 2 ICE winter jackets in L and XL. and another half dozen bicycle shaped bottle openers. My brother has offered for the quiz night the opportunity for two people to get fitness tested in the DCU lab, VO2 Max and all the other good stuff. Don’t forget to register your teams in advance if you can please! ?